If you’re already the proud owner of a 5-gallon fish tank (fish included!) it means you’re already aware of the importance of a good filter for your little pals. Able to remove waste and debris from water, the filters are meant to keep the water crystal clear, without stressing out or harming the fish. Most filters out there should offer three types of filtration: mechanical, chemical and biological. Let’s take a quick look at each of them to see if each of them is essential for your fish or not. Mechanical filters are great for all types of fish as they keep the water clean and ensure a healthy environment for your fish. 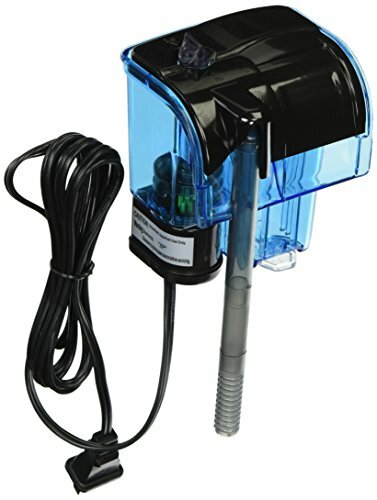 Mechanical filters keep the water clean even if you’re away and can’t do the regular water changes, maintain your fish nice and safe. If you’re having bettas, you know they really like the calm water and a mechanical filter do create a current that isn’t always safe for them. Therefore, a chemical filter isn’t fundamental and you can totally use other methods for water changing. They’re using living organisms to encourage your fish to break down waste in a natural way. They may perfectly be plants or small invertebrates and a biological system can be a great natural way to keep the tank crystal clear. They come in a nice variety and you can combine carbon with bio filtration or use gravel, letting it grow its colonies of bacteria. 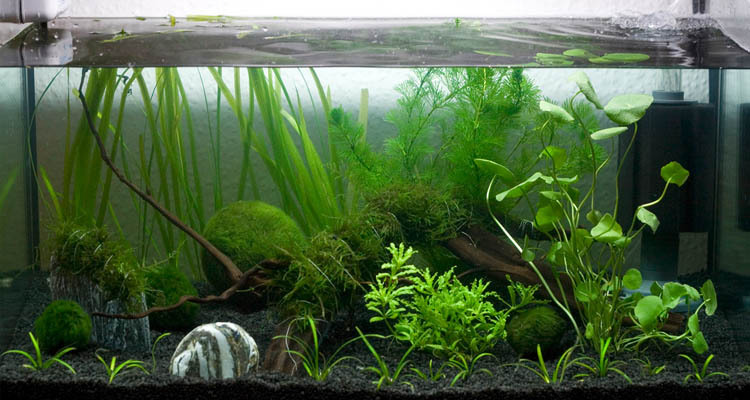 You can also grow a special algae wall or use rooted or free-floating plants in your tank. Rocks or sand go great in a saltwater tank, whereas some snails or crustaceans are going to do amazing in a freshwater tank. Make sure to clean gravel constantly with a gravel vacuum and never use hot water. The size and weight of gravel are also to be considered. The plants have to suit your type of fish too. So, a bit of attention and more of your time is what you need to reserve for this type of filters. They use activated carbon; resin or various adsorbent materials are used for the filtration. The activated carbon has millions of tiny holes that collect dissolved material. The whole process is going to eliminate copper and chlorine, but also proteins and carbohydrates. Resins are also a good option as they attract ammonia or nitrate. They may also strengthen carbon, so using them altogether is a wise decision. When the pores are filled up, the carbon becomes useless and acts like a biological filter. The carbon may also absorb tank medications so you want to remove it if you have to add antibiotics. The best filter for your tank is one that keeps your fish happy and your wallet …full. No matter how efficient it may be, you still don’t want to spend your last buck on a filter and the price range is pretty good, fitting all sorts of budgets. 1). The low price of the PENN PLAX World Aquarium Filter may be the first thing to catch your eye, but the filter is much more than just an inexpensive filter. 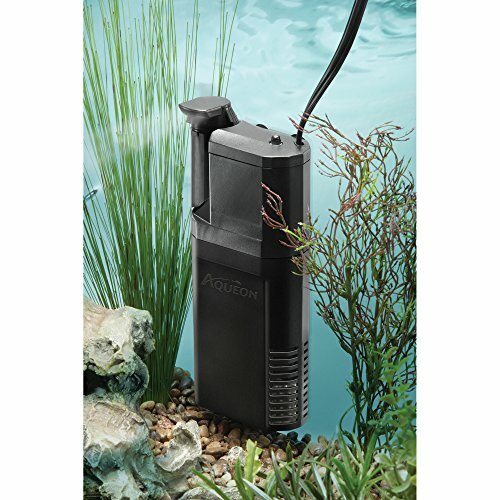 Specially designed for tanks up to 5 gallons, the filter is versatile as it’s compatible with any air pump. It goes great in any small tank, no matter its shape or size. The filter keeps your tank nice and clear and it’s very easy to install. Using it is a breeze too and the filter is able to eliminate contaminants, keeping the environment healthy for your fish. The filter features a bracket and comes with two suction cups that keep it in place, for better stability. The disposable cartridge includes carbon and zeolite, ensuring chemical filtration inside your tank. It also comes with bio foam that sustains the biological filtration. The filter is a good option if you have bettas as it’s small and unobtrusive. It gives good bubbles and is efficient, for the buck you’re paying. Well-made, the filter takes the use for a good amount of time. All in all, the filter keeps your tank nice and clear and it’s quite a bang for your buck too. 2). Able the absorb nitrates, the LUFFY Marimo Moss Balls – Aesthetically Beautiful & Create Healthy Environment aren’t the typical filter for a tank, but they do manage to maintain your filter healthier and cleaner. The live plants are great for sucking the toxic material from fish excreta, debris, phosphate and ammonia so they create a natural environment for your fish. Additionally, the moss balls minimize the risk for excessive algae growth. They’re eco-friendly and have also pretty looks and decorate nicely your tank. 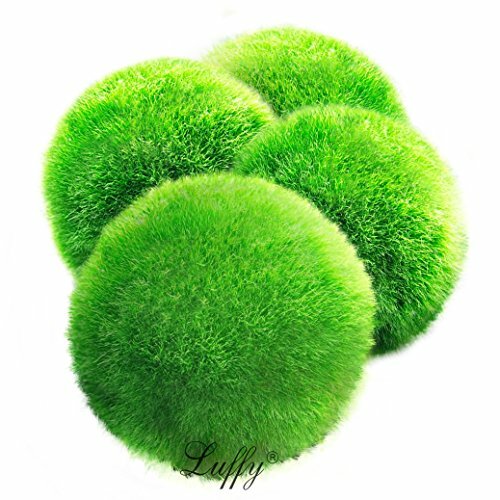 As they’re 100% natural, the moss balls may not be spherical in shape or have a green color. By contrary, they can have some brown spots, which only means they’re natural. You only need some light and freshwater and can work for saltwater tanks too. The moss balls are snail-proof and liked a lot by shrimps. They also provide a nice surface for the “good” bacteria to catch on and a nice space for the fish to climb on. Easy to take care of, the moss balls can live up to 100 years and are a great choice for betta, snails and shrimps. They expand well and add such a nice color to your tank. The moss balls are safe for kids and are both functional and nice looking. Nevertheless, as they’re natural, nice looking and able to keep the water clean and the fish busy, the moss balls are quite an option to keep in mind when shopping. 3). If you’re determined to try an under gravel filter, take a leap of faith with the Lee’s 5-1/2 Original Under Gravel Filter. 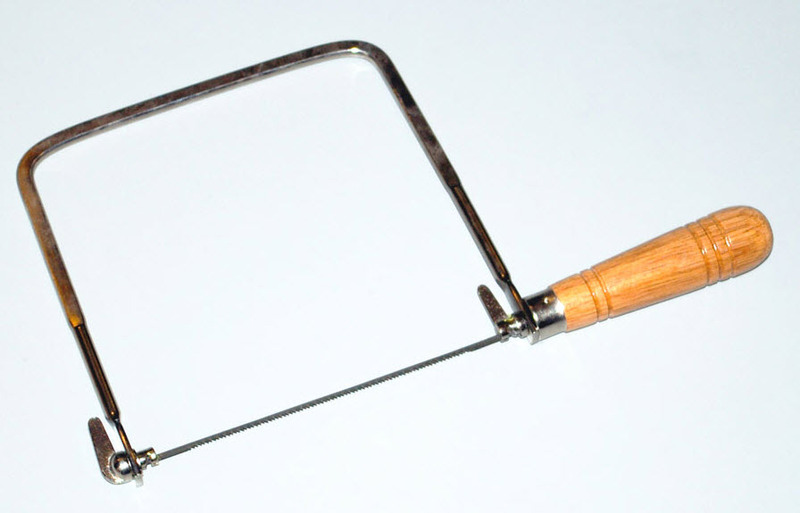 The filter is made of special quality plastic so it takes very well splitting or cracking. 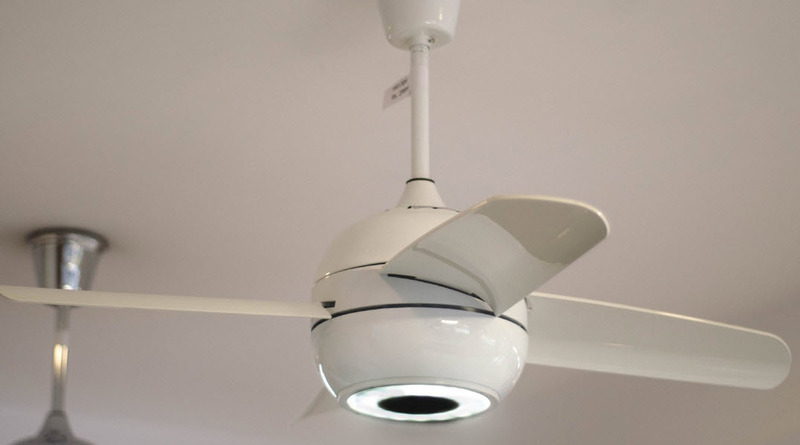 The installation isn’t complicated, but it may require some patience and handy work on your part. The sizing is very accurate and the filter can fit just right in your 5 gallons’ tank. 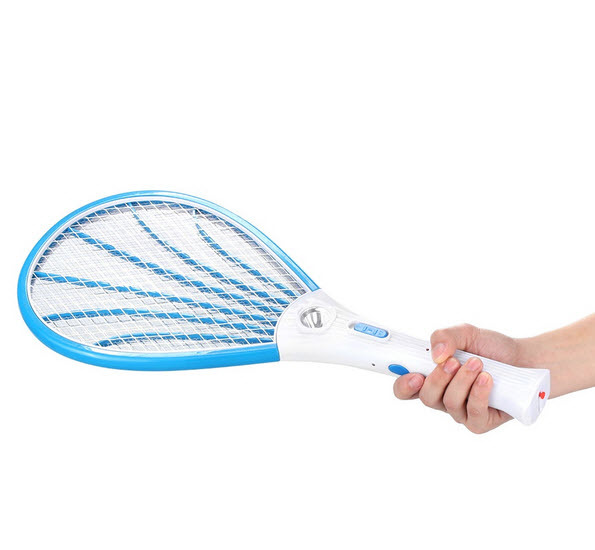 It comes with an optional flow-thru setup that you may use with a power head. The filter is great for your plants too and you can increase its efficiency when adding an air pump. The circulation is good and the filter doesn’t need cleaning too often. You can clean it every 5 days or so, but you should give it 1-2 weeks for cycling in the beginning. A gang valve can make the air flow even and the filter needs a lot of gravel for efficiency. The filter looks nice and is going to keep your tank clean, with minor effort on your part. All in all, the under gravel filter works and is effective, so we see no reasons for which you shouldn’t try it when in need. 4). For those of you who would like to try a HOB (hang on back) filter, a reliable and effective choice is definitely the Penn Plax Cascade Hang-on Aquarium Filter With Quad Filtration System. 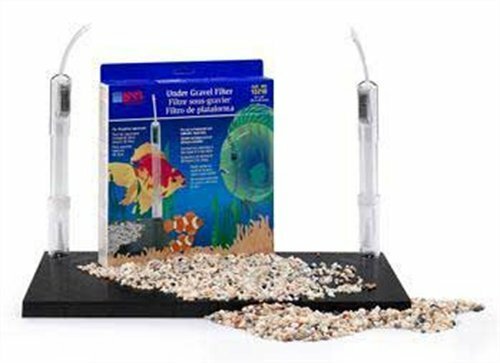 The HOB filter gives 20GPH flow rate and works for both fresh and saltwater tanks, up to 7 gallons. It comes with activated carbon cartridge that is efficient for removing the dangerous toxins, chemicals and unpleasant odors or discoloration. The filter also features an internal sponge that improves colonization of good aerobic bacteria, whereas the polyfiber floss cartridge catches the floating particulate matter. The features of the filter continue with the adjustable flow knob that lets you set the flow rate exactly as you need for your tank. The tube extends pretty well and the filter comes with a self-leveling case that maintains its level. The reservoir for media has just the right size and the filter is well made. Even though this may be the last thing to check on a filter, it’s important to mention that the filter also looks nice. It runs silently and set it up isn’t difficult at all. Regardless of the downsides, the filter does a great job for cleaning your 5 gallons’ tank, without having you to pay much for it either. 5). When you don’t have the time nor the will to clean your filter every couple of days, give it a go with an external canister filter that needs cleaning only couple of weeks. 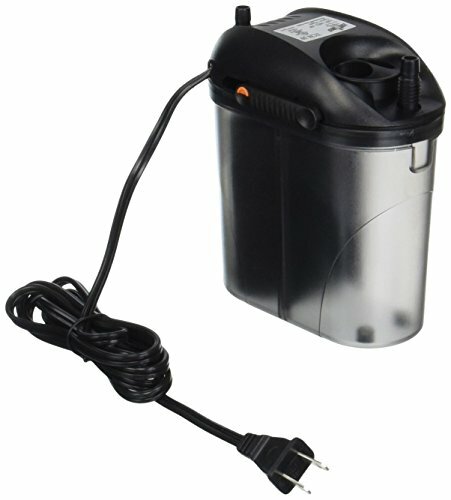 The Zoo Med Nano 10 External Canister Filter, up to 10 Gallons doesn’t need cleaning that often, but this isn’t the single good thing that the filter brings to the table. Even though it presents a flow rate up to 80GPH, the filter is safe to use on tanks up to 10 gallons, making it as a great option for your 5 gallons tank. As mentioned earlier, the filter comes with many good things attached to it. As a matter of fact, the filter comes with bio ceramic media, spray bar system, mechanical filter sponge and also carbon. This can only mean that the filter provides biological, mechanical and chemical filtration of the water. The priming isn’t difficult, but some may find it tricky, especially if unexperienced. 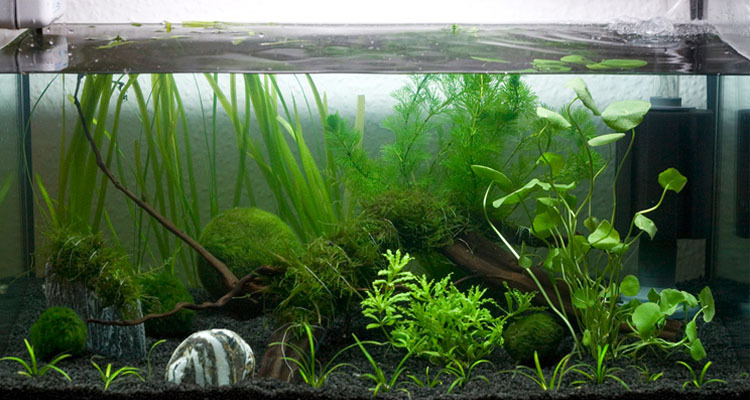 You can safely use the filter for both freshwater and marine tank. The filter provides effective aeration thanks to its spray bar. The clear hoses are quite easy to remove. Adjusting the flow rate is a breeze and so is the opening of the head. We really like the anti-vibration bushings that lower the noise level. The suction cups are efficient and keep the filter in place. Fast working and silent, the filter has a good build and its compact shape doesn’t take much space of your 5 gallons’ tank. 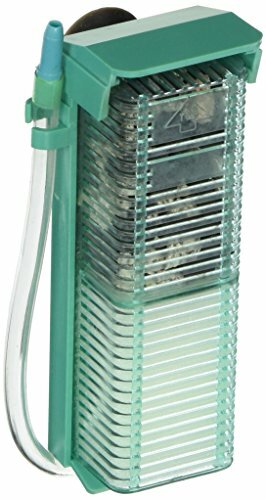 Nevertheless, as it’s efficient and well made, plus easy to clean and take care of, the filter is worth to try whenever in need. Small and unobtrusive, the Aqueon Quietflow Internal Power Filter is going to keep your bettas happy and their 5 gallons tank nice and clear. The filter is fully submersible, and you can place it both vertically or horizontal. The flow rate isn’t just adjustable, but also constant so that filter is efficient all the time. You can also adjust the direction and height of water return, which increases the adjustability and versatility of the filter. The filter provides three stages filtration so the water gets cleaner on all levels. The activated carbon eliminates odors, discoloration and toxins, whereas the dense foam takes care of the particles and debris. The filter also comes with patented BioGrid that removes ammonia and nitrates. You need to use Aqueon Replacement Internal Filter Cartridges for it. The filter has a flow rate of 57GPH and uses 1 small replacement cartridge, working on tanks up to 10 gallons. Coming with 3 suction cups, the filter is easy to install and to place, staying nicely and steady in place. It’s small and has a slim profile and it’s an unobtrusive filter that isn’t going to take much space inside your 5 gallons’ tank. On top of everything else, the filter runs quiet and it’s easy to maintain. It goes without saying that, for a fair price, the filter presents not only adjustability or quiet performance, but also ease of use and maintenance, keeping your bettas healthy and playful for longer time. 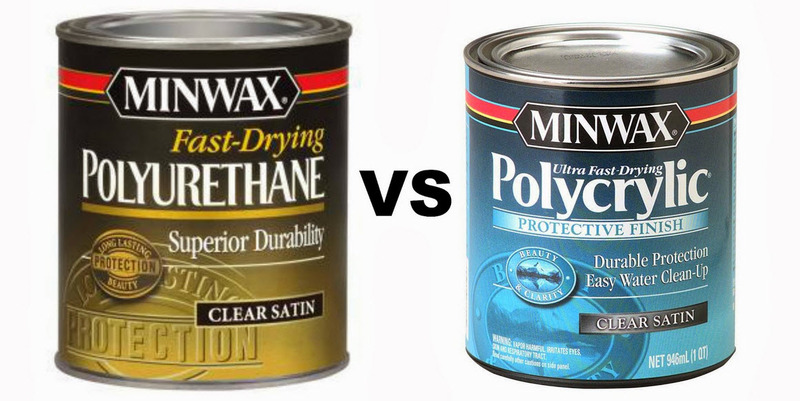 Polycrylic vs. Polyurethane – Which One To Use?